By the time February rolls around, most people are tired of winter. Honeymooning couples will want to escape the chill and find some sunshine. 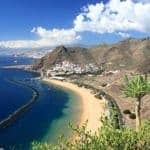 The best destinations include the Caribbean, Asia, the Indian Ocean and parts of North and South America – but if you know where to look you can also find good weather closer to Europe. If your honeymoon runs over Valentine’s Day, there will be even more romantic packages on offer than usual. And if you’ve left it late to book a trip, you may also find some great deals on late winter sun. It’s peak season across the Caribbean with perfect temperatures (around 28°C), an average nine hours of daily sunshine and cooling sea breezes. 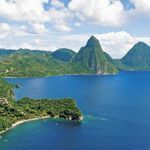 St Lucia is always a good choice for honeymooners but especially so in February with good underwater visibility for snorkelling and diving. 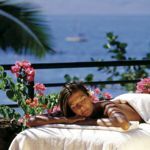 I recommend the glorious Anse Chastanet which is set on one of the island’s best beaches, and the small friendly East Winds which has just 30 suites and all-inclusive fine dining. Barbados offers direct flights, buzzing nightlife and sophisticated restaurants. Check out Little Good Harbour and the beautiful Atlantis Hotel on the less-busy east coast. Sandals Barbados is the island’s only adults-only all-inclusive. See their latest offers. Another great honeymoon destination for beach lovers and foodies is the unspoilt coral island of Anguilla which is a perfect place to kick back, swim and sunbathe, try a couple of spa treatments and dine at great restaurants. 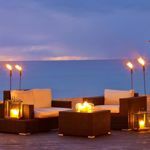 Best places to stay on Anguilla include Cap Juluca, the Four Seasons (I love their rooftop suites with private pools) and CuisinArt Golf Resort & Spa. If you want somewhere with more than just beaches, try Jamaica. Stay at Jamaica Inn, a small friendly and stylish beach hotel, and rent a car for a few days to explore waterfalls, colonial estates, mountains and fishing villages. A lesser known option is unspoilt St Kitts where you can go zip-wiring in the rainforest, visit former sugar plantations and ride on a scenic railway. Stay at Ottley’s Plantation Inn or the stylish Belle Mont Farm. Grenada is a small charming island and it’s worth considering the all-inclusive Sandals LaSource Grenada Resort & Spa set on a stunning beach. 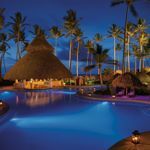 The Dominican Republic is also very competitive on price compared with elsewhere in the region, especially if you go all-inclusive. For more inspiration, see this gorgeous collection of the best small hotels and resorts in the Caribbean. How about getting behind the wheel for a luxury road trip across America? The specialist tour operator Exsus offers some really stylish touches. Their most popular route for honeymooners is a classic California Highlights Trip from San Francisco to Los Angeles over 10 nights. For something a touch more adventurous, how about a self-drive tour of Las Vegas and Southern California including a stay in Palm Springs. Florida is the perfect size for a fly-drive honeymoon. You could stay a few days on Miami’s glamorous South Beach before driving south to the Keys. 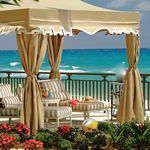 Stylish hideaways include the South Seas Island Resort on Captiva Island on the Gulf Coast and Cheeca Lodge on Islamorada. 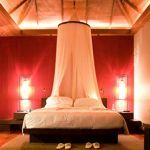 It’s summer in South America and if you’ve always wanted to sample this great continent, an extended honeymoon could be the perfect opportunity. Head to Brazil where you can see the sights of Rio de Janeiro, take a leisurely cruise on an Amazonian riverboat, then kick back in trendy Trancoso on the Bahia coast. If you time it right, you can enjoy the Rio Carnival in early February. Argentina is one of this year’s hottest honeymoon destinations and great value for money once you’re there. There’s the party capital of Buenos Aires and the incredible vistas of Patagonia, not to mention cutting-edge hotels. Chile is rapidly emerging as one of the most exciting destinations on Earth from the lunar landscapes of the Atacama Desert – there are places where it has never rained – to the mysterious beauty of Easter Island. This Classic Chile honeymoon hits the highlights of the mainland, or experience a different side of the country on this intriguing Lakes & Fjords trip. For lovers of nature and adventure, it’s hard to beat Costa Rica, a delicious combination of rainforest, volcanoes, surf beaches and amazing wildlife. This two-week Costa Rica in Style trip includes stays at luxury hotels and lodges. If you want to keep the spending down, try this 12-day Costa Rica Highlights private tour. February is the driest month of the year in Vietnam, making it a favourite destination for adventurous couples. This two-week private honeymoon, Vietnam in Style features Hanoi, a cruise in Halong Bay, Hoi An, the buzzing city of Saigon and the superb beaches of Con Dao. If you’ve been to Vietnam and got the T-shirt, how about the less visited Philippines – an archipelago of almost absurdly beautiful islands and beaches and natural wonders. This Grand Tour will take to some of the country’s highlights. Check out these honeymoon suggestions, though you really shouldn’t miss the island of Palawan. If India has always been on your radar, February is a great time for a honeymoon. It’s the start of the summer season but temperatures are still pleasant. You could visit Delhi (25ºC and 9 hours of daily sun), the Taj Mahal, temples and forts. In Sri Lanka it’s the best time of year for blue whale watching. Whet your appetite by taking a look at these stunning lesser-known hotels: Ulagalla Resort, Chena Huts and Sisindu C.
For something off the usual honeymoon trail, treat yourselves to a total rejuvenation at Ananda in the Himalayas, a beautiful spa retreat. This region is at the beginning of its pre-monsoon season, so be prepared for cooler temperatures at night. The Indian Ocean islands of the Maldives are a good option in February (32ºC and 10 hours of daily sunshine). There are fabulous resorts to choose from such as the ultra-romantic Huvafen Fushi which has an underwater spa. You can save significantly if you book an all-inclusive honeymoon package loaded with romantic extras such as private dinners on the silky white sand. For the Maldives on a budget, try Meeru Island. For all-out luxury, take a look at NIYAMA Maldives which has 87 studios and pavilions – most with private pool – spread out across two secluded islands, along with an underwater nightclub and a chance to spend a night at sea with a butler and private chef in a beautifully-restored Maldivian sail boat. 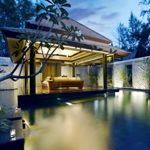 You can very easily combine the Maldives with a stay in Sri Lanka which is just an hour’s flight away and provides a wonderful contrast: a heady dose of culture followed by lazing on a perfect beach. 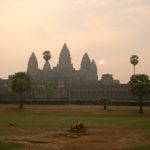 This twin-centre honeymoon is one of the most popular ways to combine the two destinations. And you can now combine India and the Maldives on a two-week honeymoon. 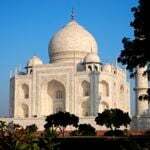 A private guide and driver will meet you in Delhi and you’ll visit the Taj Mahal, take an elephant ride to the Amber Fort in Jaipur and see temples and palaces in Udaipur. It’s then a five-hour flight to the Maldives where you’ll stay at the all-inclusive Cinnamon Dhonveli resort. More details. 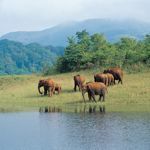 You can also combine Sri Lanka, Maldives and Dubai on an exciting three-centre honeymoon that works out at great value. Going all the way? How about Australia where you’ll find some amazing places to stay including Southern Ocean Lodge on Kangaroo Island, and Longitude 131º overlooking Uluru. You could explore New Zealand on a self-drive honeymoon. That’s assuming you prefer the idea of heli-hiking on glaciers, kayaking with dolphins and horse riding through the bush to lying on a beach for two weeks. There’s luxury too, with stays at gorgeous boutique hotels. The most popular choice for honeymoons is this 23-day Grand New Zealand itinerary. How about wearing flowers in your hair in an idyllic South Pacific paradise – Tahiti (formerly known as French Polynesia) and The Cook Islands await. 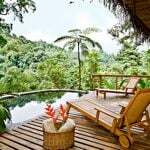 Most popular places to stay for honeymooners include Te Manava Luxury Villas and Le Taha’a. Fancy a safari? Botswana is home to Africa’s most romantic camps and it’s the “green season” so, although there’s a risk of rain showers, you can expect fewer tourists, lower prices, brilliant colours and plenty of newborn animals. You’ll want to combine the Okavango Delta with Chobe National Park. There are plenty of short haul getaways in February that will take you to the sun, though you shouldn’t expect scorching temperatures. Madeira is a wonderful island for honeymooners with its romantic quintas (restored country houses) and dramatic mountain scenery. If you enjoy walking, trekking and even abseiling, Madeira is a great destination. Expect 17ºC and six hours of daily sunshine. Find out more about Madeira. It’s only a four-hour flight to Tenerife with departures from regional airports across the UK. 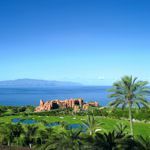 Spend the money you save on a fabulous hotel such as the Gran Hotel Bahia del Duque or The Ritz-Carlton Abama. The island is packed with things to do including year-round whale and dolphin watching. If you want something a bit more exotic, head to Egypt. 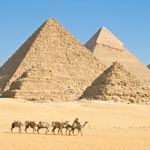 Begin with a tour of the Pyramids in Cairo (23ºC and 8 hours of sun) followed by a relaxing Nile cruise. February is also a good month to visit Dubai – you’ll find guaranteed fine weather (26ºC and 8 hours of sun) and it’s only a six-hour flight from the UK with a choice of regional departures. 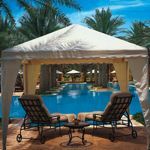 Indulge at the stylish One&Only Royal Mirage Arabian Court, one of the emirate’s most sophisticated hotels, or the Jumeirah Zabeel Saray on The Palm, which has a private cinema, spectacular spa and huge oceanfront infinity pool. 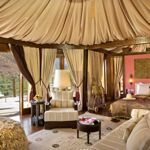 Closer to home, Morocco has a great choice of beautiful hotels for honeymooners from converted riads in Marrakech to glamorous desert camps – not forgetting Sir Richard Branson’s sumptuous Kasbah Tamadot. See a full range of honeymoons in Morocco. The great cities of Europe might not be hot in February, but you can get great deals on hotels. 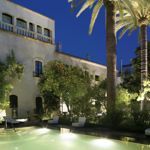 Head to the great Spanish cities of Andalucía including Seville, Cordoba and Granada, where you’ll find warm weather and an authentic experience without the summer crowds. See more ideas in Andalucia. Paris is romantic at any time of year. 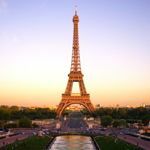 Travel by First Class Eurostar, stay in a luxury boutique hotel such as the five-star Lancaster or the charming Relais Christine on the Left Bank, and enjoy the city free of tourists. Italy is always romantic. You could line up a mini tour of Rome, Florence and Siena or enjoy Venice at its most atmospheric. February is Carnival in Venice, so make sure if you want to go at this time that you book well in advance (16 February – 5 March in 2019). The best hotels for honeymooners include the boutique Ca’ Sagrado on the Grand Canal, the four-star Hotel Londra Palace near the Bridge of Sighs and The Danieli, a former palazzo dating back to the 14th Century. Another option is to head north. Explore the snowy wilderness of Iceland for cosy bars, stylish boutique hotels and the chance to share a magical glimpse of the Northern Lights. I recommend staying at the lovely Hotel Ranga on the banks of a salmon river overlooked by glaciers and mountains. After dark, you can sit out in geothermal hot tubs, watching the light show overhead. I also recommend Artisan Travel which can arrange a snowy honeymoon in the ethereal wilderness of the Arctic Circle. 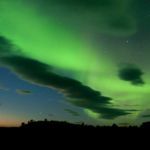 You could sleep in a glass igloo and gaze up from the warmth of your bed to view the Northern Lights, or try a husky safari and snowmobile ride on a thrilling adventure honeymoon in Finnish Lapland. 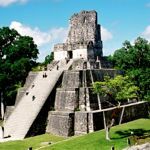 > Visit our sister site 101 Holidays to find where’s hot in February and where’s hot in Europe along with more expert tips recommendations for February. > Visit our homepage for my full choice of 101 honeymoons or try my fun quiz to find the right destination for you. Also see honeymoon special offers.